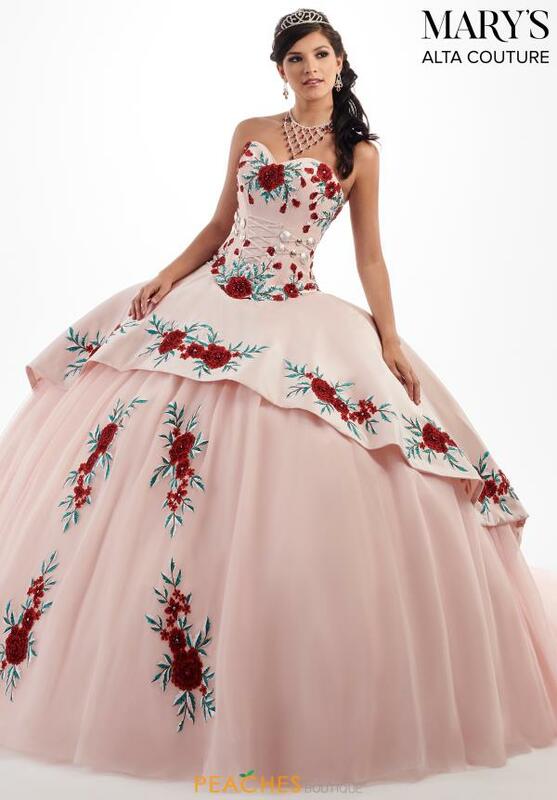 Turn heads in this one of a kind quinceanera dress style MQ3024 by Mary's. This ravishing dress showcases a strapless sweetheart neckline with a fitted bodice. 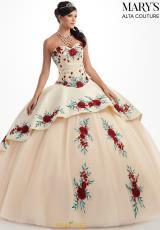 This show stopping dress is adorned with spectacular floral embroidery throughout the bodice, as well as the skirt. A dramatic A-line skirt made of tulle fabric will have you looking and feeling like royalty. To top off this unique ensemble is a slight train that will flow beautifully behind you. Shop similar styles at Peaches Boutique.